Who doesn't love puppies? 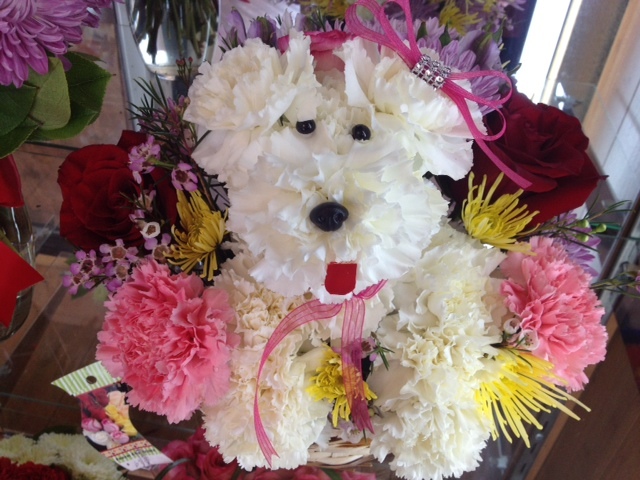 Check out thi s loveable little dog created out of white carnations ! Come visit us and order yours today at our Las Vegas Florist shop!